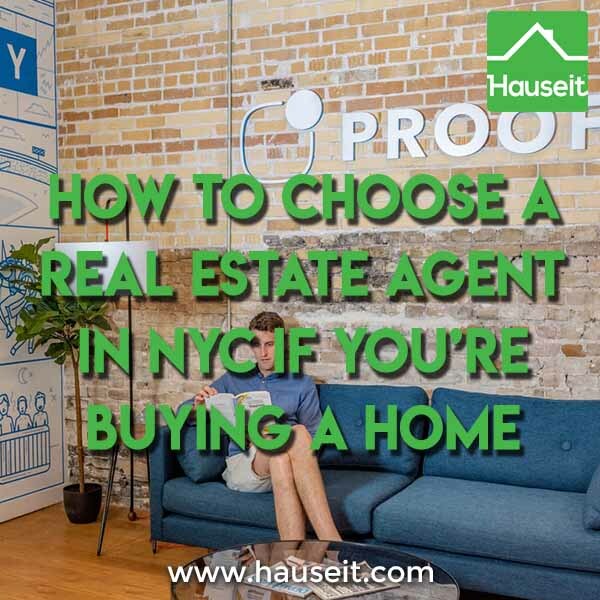 Most articles on the internet about this subject will offer basic and obvious suggestions like “don’t work with friends and family” or “make sure the agent is experienced.” In this article we’ll give you concrete tips for how to choose a real estate agent in NYC whether you are buying or selling. Since you’ve made it this far as a buyer or seller of New York City real estate, we’ll spare you the mind-numbing “advice” of most of the internet articles on this subject. This is not meant to be a promotional piece for the Real Estate Board of New York (REBNY) which is the main real estate trade association for New York City. REBNY is a private organization completely unaffiliated with the National Association of Realtors (NAR) that operates their own inter-brokerage database called the RLS (REBNY Listing Service). REBNY is unique in that all member brokerages are required to sign a “universal co-brokerage agreement” where members all promise to keep listings up to date and “co-broke” (i.e. cooperate and split the commission with buyers’ agents), subject to heavy penalties for non-compliance. As a result of this heavy handed self-policing, REBNY members have exclusive access to listing data by other member brokers (which represent the vast majority of the market) which is fresher and more accurate than that available to the general public. Because RLS data must be kept updated subject to heavy penalties, an agent who is a member of REBNY will have more up to date data on listings which will be extremely important in the scarce inventory market of New York City. RLS data is also refreshed almost instantaneously (we’ve heard from certain RLS vendors that the refresh time is under 30 minutes). By comparison, popular consumer search websites like the New York Times, Agorafy, Brownstoner or StreetEasy will have data that typically gets refreshed every day or two. And although sellers will to some degree police their listing agents if their listing data is old on a popular site like Homes.com, the agents are not as concerned with its accuracy due to the lack of penalties. You can imagine the degree of inaccuracy on less popular consumer sites with little to no traffic which agents may syndicate their listings to. There would be very little incentive on the agent’s part to spot check their listings on the scores of websites their listings are syndicated to. As a result of this heavy handed self-policing, brokers always have fresher and more accurate data than the public. This is one of the most important pieces of advice that none of the basic internet articles on how to choose a real estate agent in NYC will mention. Perhaps it’s because New York only recently legalized buyer agent commission rebates (and is now one of 40 states who allow it), or because most of these articles are written by people with zero real estate experience. There are two ways of going about it. The most obvious way is to approach a great buyer’s agent you know and trust and confirm your arrangement in writing through a buyer rebate agreement before you start searching with that agent. However, this may not be feasible as many real estate brokerages will have corporate policies against any sort of discounting or rebating which may hurt their brand image. Furthermore, a real estate salesperson will not be able to sign for and bind their brokerage in a rebate agreement, they will need the involvement and permission of their managing broker. Keep in mind it is the seller who pays the entire brokerage commission (typically to the listing agent, who may share half if there’s a buyer agent involved). This is certainly not out of the ordinary, we’ve all heard agent friends whisper to us before that if we buy with them they’ll make sure to “return the favor,” whatever that means! Agents love to hype up the appreciation you will receive from post closing. Unfortunately for most home buyers, the token of appreciation they’ll end up receiving will be a bottle of champagne or a box of chocolates at most. What if you don’t have any agent friends or are too embarrassed to ask your agent friends for a rebate on their commission? You might not want to offend any of them given that it’s the seller paying the commission and it is their livelihood. Moreover, most agents (even friends), will never offer or even mention the possibility of a commission rebate. A legitimate excuse we’ve heard before is that sometimes an agent may have to give up part of his commission to make a deal work, so why would he promise to give some up at the start? It’s critical to understand that your rebate won’t matter for much if the seller and listing agent will automatically find out that you’re getting a better deal. That’s why working with your typical mom and pop discount broker is a recipe for disaster for first time home buyers. Think about it, the first thing a listing broker is going to do when they encounter an unfamiliar buyer’s broker is to Google them. It doesn’t take much internet sleuthing to figure out what more shady rebate brokers are up to. So if you want a great way to jeopardize your deal, loop in a boiler room rebate broker after you’ve already seen a property directly. That’s one way to make a listing broker’s blood boil! 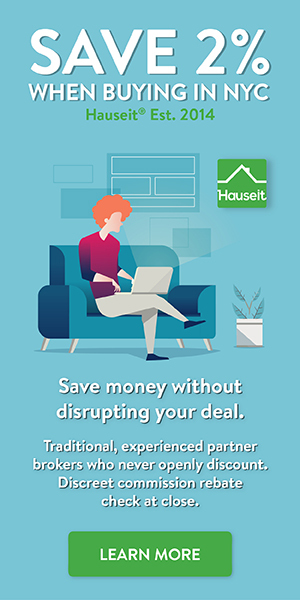 Fortunately, home buyers in NYC can take advantage of a commission rebate without jeopardizing their deal by working with one of our brand name, traditional broker partners. None of our broker partners discount or openly tarnish their brands in any way by advertising to work for less. All of our broker partners are highly experienced, top rated local real estate brokerages with great working relationships with the wider broker community. As a result, you’ll truly get the real thing plus a discreet, commission rebate gift post closing! Most agents, even friends, will not offer or even mention the possibility of a commission rebate. If you’re wondering how to choose a real estate agent in NYC, a major red flag will be if your agent tries to push you into signing an Exclusive Right To Represent Agreement. In NYC, exclusivity agreements between buyers’ agents and buyers are extremely rare. Since buyer agents almost universally offer their services for free (since their commission is paid by the seller), there is extreme competition for buyers among agents. Therefore, buyers typically will refuse to sign an exclusive since there is no shortage of agents offering their services for free. If your agent is trying to make you sign an exclusive, he or she most likely thinks you are uninformed and is trying to take advantage of you. Only in rare instances of foreign buyers working with an agent they trust and have worked with before would an exclusive agreement be appropriate. In this case because the buyer is based overseas, he or she is much more dependent on the agent. Therefore, there is less leverage especially if the agent is someone they’ve worked with before and trust. Also, because the agent will be doing more of the legwork and hand-holding in this case, it may be appropriate in some cases to sign an exclusive.